This past Saturday was International Women’s Day. As part of the festivities leading up to the day—and as part of the research that MaRS Data Catalyst is undertaking on the role of gender in the innovation economy—we decided to take a look at women in science. To start this research we worked with the UNESCO Institute for Statistics to look at the gender composition of scientists around the world and to see what kinds of trends, similarities and disparities exist. 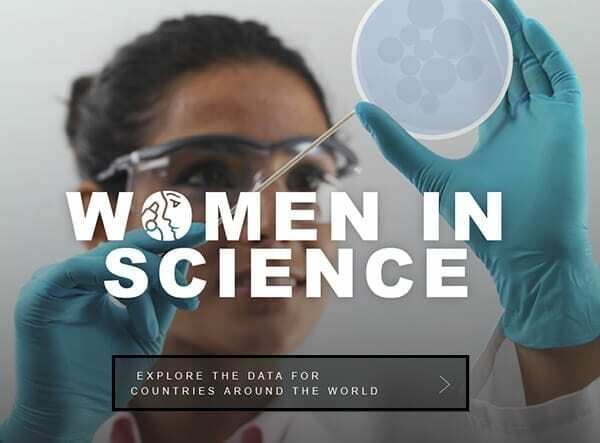 We’re excited to share Women in Science, a new interactive tool that allows you look at the breakdown of women in science in dozens of countries around the world. We encourage you to play with the interactive tool to see what we’re doing well and where we’re slipping when it comes to gender disparity in science. Here are a few things we noticed. 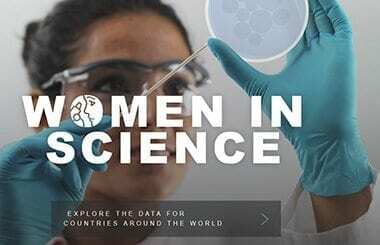 Just 30% of the world’s researchers are women, but there are some interesting exceptions. In Bolivia, women account for 63% of researchers, compared to France, which has a rate of 26%, and Ethiopia, which has a rate of 8%. Women researchers tend to work in the academic and government sectors, while men dominate the private sector. Women researchers remain the minority in the fields of science, technology, engineering and mathematics. In the Republic of Korea, for example, only 17% of researchers are women, and these women account for just 9% of those working in the fields of engineering and technology. Over the next few weeks, the Data Catalyst team will be delving deeper into the numbers around women in science in our country and will be presenting five new visualizations that look at how we’re doing in Canada and how we compare to the rest of the world. In the meantime, we encourage you to explore the UNESCO interactive tool and to share some of the insights you find, as well as your ideas on how we can help bridge the gaps.